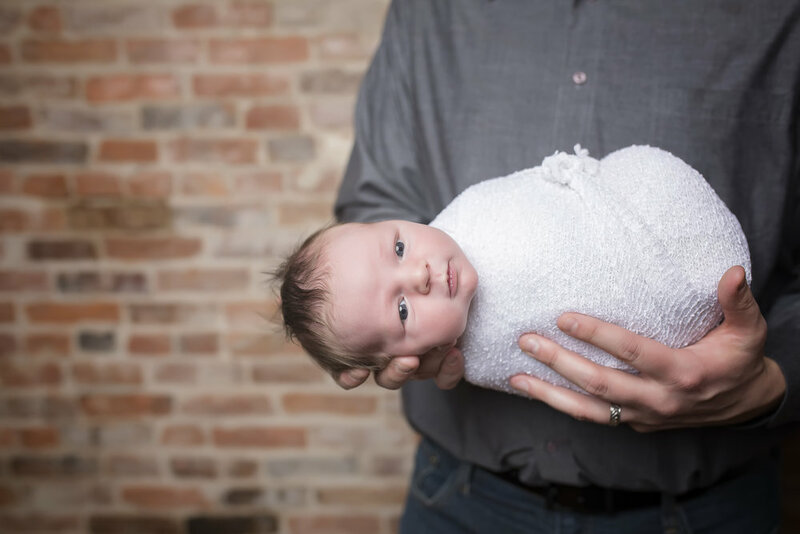 When Everett was 14-days-old, we had his newborn photos taken. 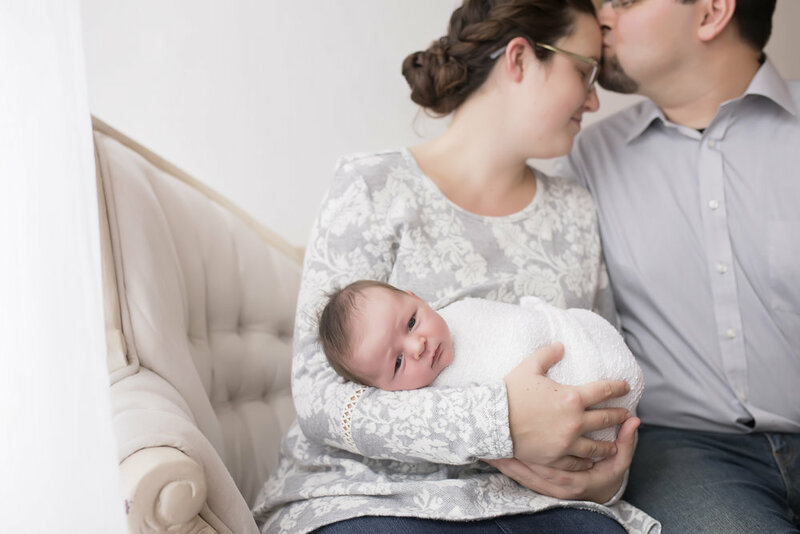 I wasn't super excited to be in the photos myself (thanks postpartum swelling), but I knew I wanted to capture his newborn sweetness. 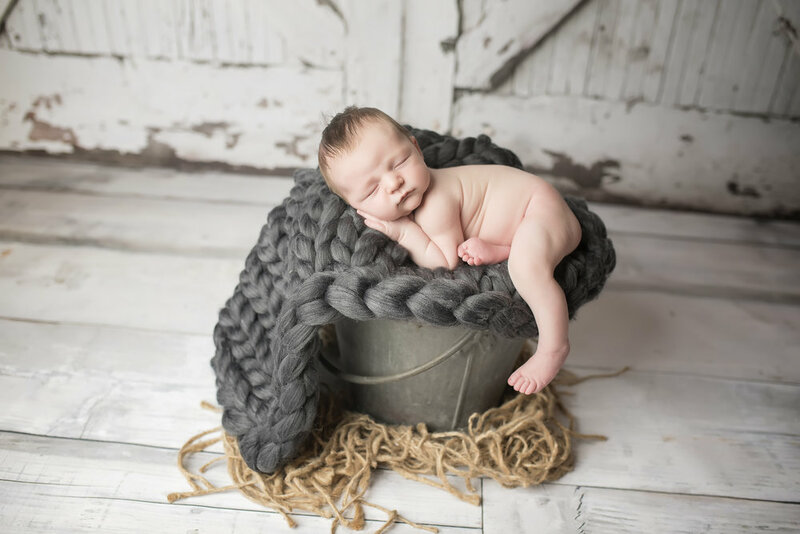 Meg, the owner of Shone Foto had mentioned that it was best if Everett was super tired for the session so we could get those adorable sleeping poses. Of course, he fell into a deep sleep on the drive over to Howell. I even tried to break the cardinal rule and wake him! Because he had such an awesome nap on the way over, it meant that he was WIDE awake for most of the 2-hour session. Ha! And if he wasn't awake, he was screaming! Poor Meg worked with him for over 45 minutes to get him to fall asleep. And in true newborn boy fashion, he peed on her as well. Eventually, he did fall asleep and we were able to get a few sweet sleeping shots. Needless to say, it reminded me that newborns are not predictable and you just have to be patient and go with the flow! Here are a few of our favorite photos. Can you guess which one is Nate's favorite? Ha!